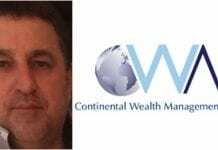 Around 300 Brits, most living in Spain, are battling to retrieve their funds after Alicante-based firm Continental Wealth Management (CWM) folded in September. CWM boss Darren Kirby left for Australia following the closure of CWM’s Javea offices with the company said to have expanded into Ibiza, Portugal, France and Turkey before folding. Victims have also raised fears about being asked to sign blank dealing instructions and their pensions being invested in high-risk assets which paid large commissions. One 69-year-old pensioner based on the Costa Brava told the Olive Press he lost €210,000 after transferring €470,000 despite stating he had a low-medium risk attitude. Another British expat, who is trying to recover around €200,000, said some pensioners ‘have lost everything’. “My paper work that I sent has been altered, my risk was changed from medium to high and my dealing instructions have been photocopied repeatedly buying and selling assets I didn’t authorise,” said the 55-year-old. “I still have some money left and I am still young enough to get compensation,but my fund has gone down by half and I need compensation to get it back on track. Andalucia-based lawyer Antonio Flores, whose firm Lawbird are representing some CWM former clients, said signing blank investment sheets was ‘very worrying’. “This negates the very essence of financial advisory services,”said Flores. “It is a blank cheque to invest wherever, whenever. It could well be standard practice, very worrying. He added that losses sustained by investors would be recoverable as the investments that failed to perform, or went bust, were linked to life insurance policies. We have not been able to find CWM as being registered to provide investment advice with the financial regulator CNMV. Signing blank documents? Why not give your bank pin-numbers and Power Of Attorney as well? Difficult to feel sympathy for such arrant stupidity.